Writing remains important across all the fields. It is a method of communication that keeps subscribers of a language bound together. However, small deviations or changes to written words present a whole new meaning. In the English language, for example, the comma ‘,’ means so much and in some cases bringing a different meaning. 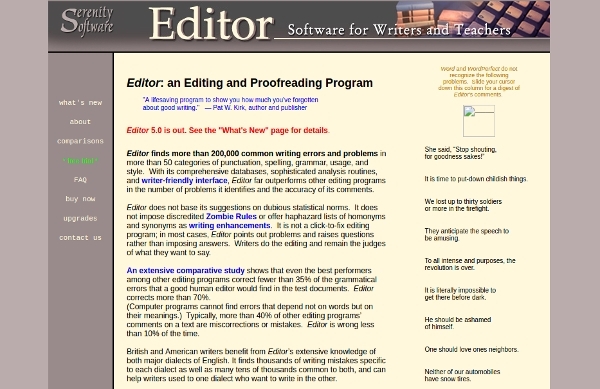 It is therefore encouraged, that the writers use a proofreading software to ensure that their writing is free of errors. 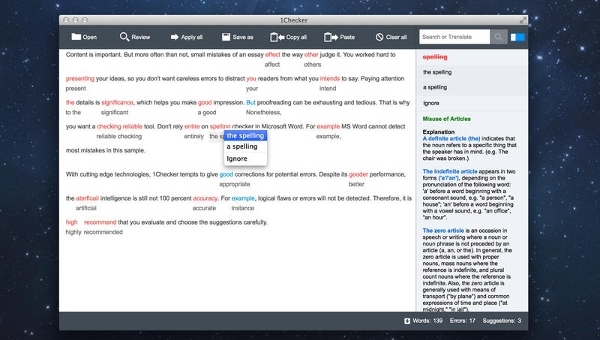 PerfectIt is a professional proofreading software that enables users to submit the better-written document. 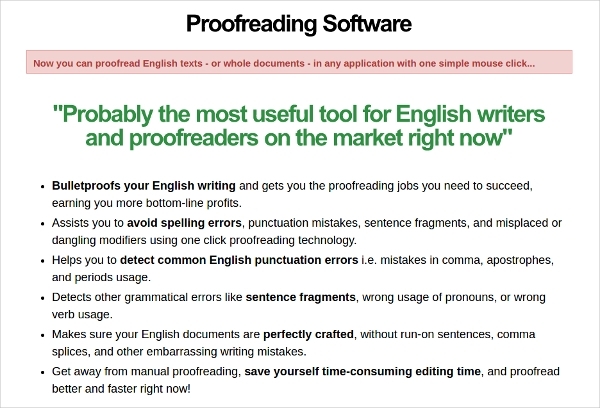 With this software, the process of proofreading work becomes very simple and at the same time you will be learning. With this, you can make a better impression and at it offers a free trial. Serenity Software is an editing and proofreading tool that assist writers in identifying 20000+ common mistakes under various categories. With this software, the users have the advantage of a friendly user interface making the entire proofreading task simpler and more fun. The software offers a free trial. 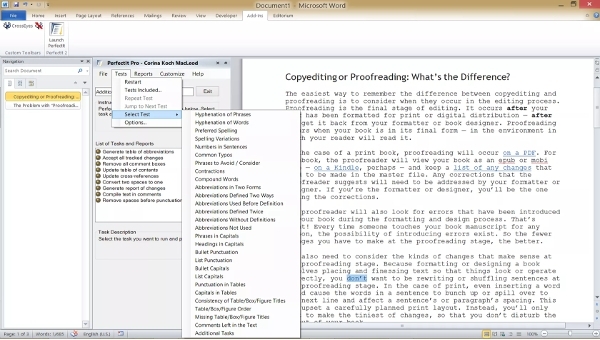 Proofreading Software enables users to proofread an entire document with a single click of the button. The software is arguably the most competitive and with lots of utilities in the market presently. With this, you will be able to quickly detect and amend common mistakes done in the English language. The software in this category are quite separated. In this case, we have some tools that are web-based, and thus they work on all the platform so as long as the browser is supported while there are standalone applications. In the following segment, we will be looking at those that are platform dependent. Ginger is a powerful standalone proofreading software that can be used on the Mac platform. With this tool, you can be sure that your documents are free from the common and even advanced grammar and punctuation errors. 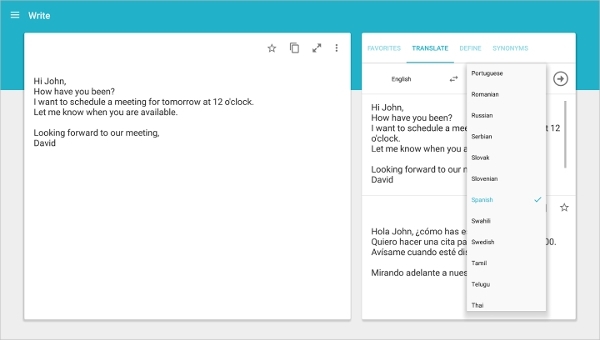 The software also allows for translation to 50+ languages plus sentence rephrasing. 1Checker is a proofreading software that will ensure you get rid of the embarrassing mistakes that you might have in your document. Some of these mistakes could be very damaging as well as costly. With this software, there is absolutely no charge for using it making it a must try. 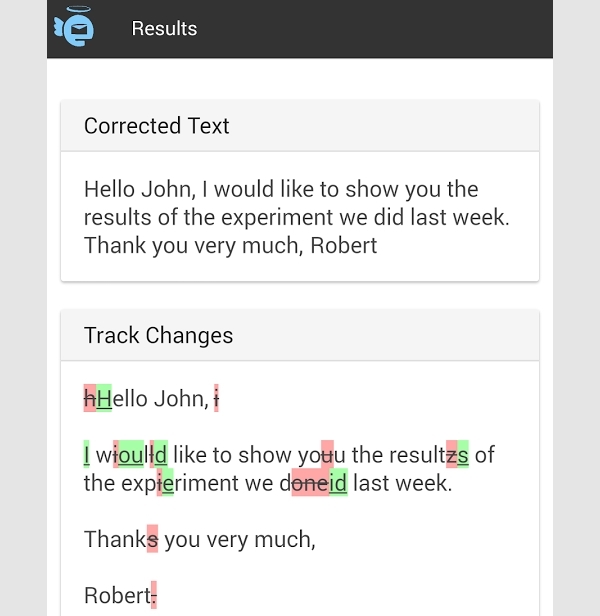 eAngel Human Proofreading is an Android app that will ensure you craft error free documents even when you are in the mobile environment. The App connects you to live experts who read all your documents to ensure they are 100% professional and to your liking. 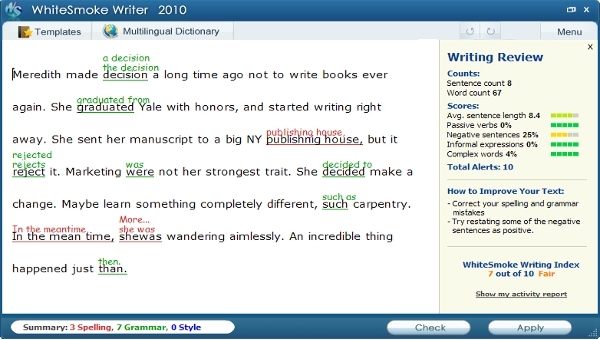 WhiteSmoke is one of the leading and one of the most preferred proofreading software available on the market today. With this software, you can be assured that all the essential parts of your documents such as spelling, grammar and punctuation’s are perfectly taken care of. Errors in a document can have grave consequences, and this is why it is recommended we always proofread our documents. However, there is bound to be some human errors that may leave some error undetected. This is why the use of proofreading software is recommended though it should not override the user.